One library in Alaska gives the phrase “hands-on learning” a new meaning. The Alaska Resources Library and Information Services (ARLIS) in Anchorage boasts a huge array of literature dedicated to the state’s wildlife and natural resources, as one might expect. 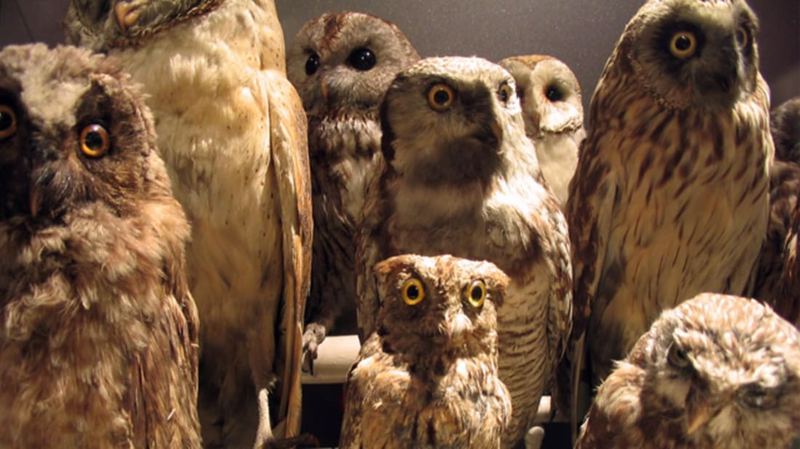 However, patrons who are less into books and more into real-life study can check out some unusual offerings—dead animals, skulls, or pelts—from the information center’s collection of taxidermy items. Fitting with the library's local, environmentally-focused mission, all of the animals are native to Alaska. According to the Alaska Dispatch News, the collection started out as a scattered assortment of artifacts donated by government organizations. Most of them came from Fish and Game, which occasionally lent taxidermy items out to the public. After ARLIS formed in 1997, the library was put in change of the specimens and they established a formal loaning method. Here’s how it works: Animals, furs, and bones are preserved in plexiglass cases and sent home with people for up to two weeks at a time. The only requirements? You can’t remove the items from their glass containers, you can’t take off the tags, you have to sign a statement of responsibility, and you’re financially responsible for any damage. About one object is checked out per day. Sought-after items reportedly include bear and wolf furs—which are used in Boy Scout promotional ceremonies—and snowy owl mounts (think Harry Potter fans). Scientists, educators, artists, Boy Scouts, and parents all borrow from the collection, as did set designers for The Frozen Ground, a 2013 film about Alaskan murderer Robert Hansen. Want to learn more? Check out the library’s online inventory. You're bound to stumble upon at least one specimen that piques your curiosity.